Toronto sometimes feels like a big place with tons of people and sometimes it feels like we all know each other somehow. Recently I got a call for a newborn session and the last name looked familiar. I knew I had a client many years ago with the same last name but didn’t think too much of it. During the session I got the feeling that perhaps these two families were connected somehow. As it turned out they were siblings. Five years apart without discussing it with each other they each found the same newborn photographer. I have more stories like this and I’ll post more soon. Pet Photographer Toronto – So fuzzy and cute! Recently I had the pleasure of photographing a total cutie-pie of the furry variety. He reminded me so much of a muppet and was so sweet. He’s just a few months old and such a cute puppy. 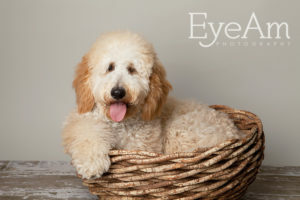 Eye Am Photography provides pet photography. There will be a new section added to the website at some point but for now I’ll be sharing on the blog. Dog photography can be done in studio or outdoors. Dog’s love to run and jump and play (just like kids). Until the end of July, book your pet photography session for $400. This special includes a studio or outdoor session as well as 15 full resolution digital files. Call the studio line at 905-882-1459 to book your session today! 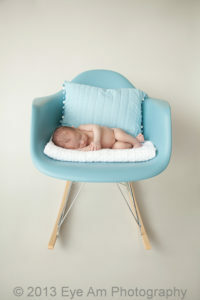 Newborn Photographer Toronto – Love this chair! As a newborn photographer part of the service that I offer is going to customer’s homes and doing on-location photography. This allows me to use items in people’s homes that have meaning to them. It also allows me to use the beautiful natural light that enters into many people’s homes. I absolutely fell in love with this little baby and this chair. Doing a newborn session in your home allows for the parents to be less stressed as they don’t have to travel and remember to bring a bunch of things. It allows the baby to stay in their natural environment and it is a service that I offer for parents. As a parent I also remember vividly those first few weeks of having a new baby and how overwhelming this time can be. Many parents want to have a newborn session but can’t handle the thought of scheduling something in. But with a session in your home, you don’t have to worry about that. I bring everything to you, the backdrop, lights (if needed), hats, baskets, blankets. Of course I look like I’m moving in. We can use parts of your home as the background for the images or keep to a studio look. The choice is yours. Newborn sessions are best done under two weeks but don’t let that deter you. My next post will be some older newborn so that you can see that all babies are beautiful at all stages.To book a newborn session, please call the studio line at 905-882-1459. Eye Am Photography is currently working to add a pet photography section to the website. Recently we had a new addition to our family and she has made me want to photography our furry friends more. As beautiful as our furry friends are I still love connections and would love the opportunity to photograph people and their pets together. I am offering a few limited portfolio building sessions for free. 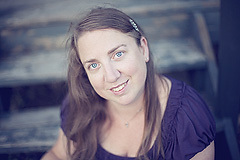 If I use any of the images for the website from your session than that digital image will be given to you free as well. If you are interested, please contact the studio at 905-882-1459. Here is our beautiful Tera at 2 months old. Wow, I can’t believe how long it’s been since I’ve last posted. My apologies. What a busy year 2012 was! So much sessions and just not enough time to post about all of them. I’ll share some of my favourites and also let you know some plans for 2013. Most importantly digital collections have now been upgraded to include full resolution files. There will be some changes to the all the collections to make them that much better for everyone and this will be rolling out sometime in the next couple of months. And stay tuned for a contest just for blog readers that will be coming out shortly. Have I mentioned how much I love photographing twins. These Toronto Twins were completely cuddly and adorable. Two sweet Markham sisters to share for today. A proud big sister and her beautiful newborn baby sister. More favourites from 2012 to be posted soon along with more new stuff for 2013. All images created by Anne Mason of Eye Am Photography. 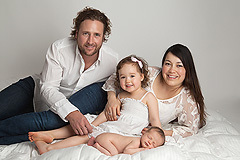 For all your family photography of your newborn, baby, children and maternity. Richmond Hill newborn photography studio with on location sessions available in outdoors or in your home.